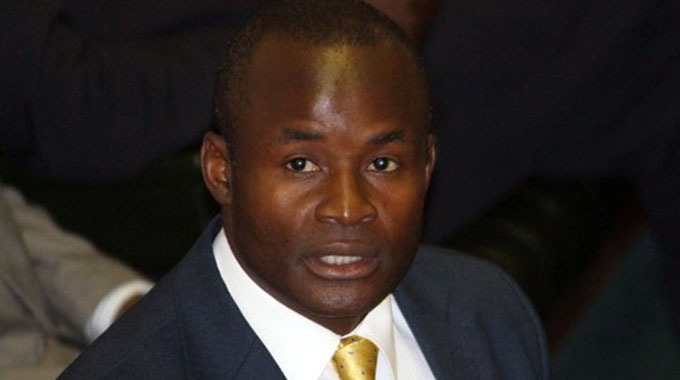 Parliament’S Committee of Standing Rules and Orders is expected to meet today and constitute a Privileges Committee to investigate allegations against Norton legislator Mr Temba Mliswa and three others that they demanded a $400 000 bribe from a local businessman. The SROC, chaired by Speaker of the National Assembly Advocate Jacob Mudend, is also expected to appoint an interim chairperson for the Portfolio Committee on Mines and Energy which Mr Mliswa was chairing. The setting up of a Privileges Committee followed a motion moved by Makoni South lawmaker Cde Misheck Mataranyika (Zanu-PF), who submitted that allegations against Mr Mliswa were of a serious nature requiring investigations by Parliament in order to safeguard the integrity of the august House. Clerk of Parliament Mr Kennedy Chokuda confirmed today’s meeting during an interview yesterday. “Yes, we now have a date for the meeting of Committee of Standing Rules and Orders. We are convening our meeting tomorrow to deliberate on a number of issues,” said Mr Chokuda. Mr Mliswa, who chairs Parliament’s Portfolio Committee on Mines and Mining Development, was implicated with three other members — Cde Leonard Chikomba (Gokwe Kabuyuni, Zanu-PF), Mr Anele Ndebele (Magwegwe, MDC-Alliance) and Mr Prince Sibanda (Binga North, MDC-Alliance). In his ruling to a motion by Cde Mataranyika a fortnight ago, Adv Mudenda said Section 194 (1) (a) of the Constitution required that Members of Parliament demonstrate high standards of professional ethics. It read as follows: “Public administration in all tiers of Government including institutions and agencies of the State and Government-controlled entities and other public enterprises must be governed by the democratic values and principles enshrined in the Constitution, including the following principles, (a) a high standard of professional ethics must be promoted and maintained”. Adv Mudenda said Parliament had to act. Cde Mataranyika’s motion followed allegations by local businessman, Mr James Ross Goddard of JRG Contracting (Pvt) Ltd, that Mr Mliswa and his colleagues demanded $400 000 as “facilitation fee” to enable the latter’s company secure a mining contract at Hwange. It’s good for parliament to meet and consider allegations of demanding bribe by Temba & alleged accomplices. However, when is parliament going to meet to consider Dexter’s self-confession of numerous murders? ?